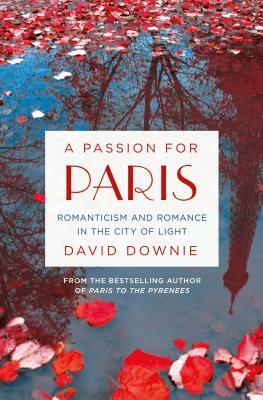 A unique combination of memoir, history, and travelogue, this is author David Downie's irreverent quest to uncover why Paris is the world's most romantic city--and has been for over 150 years. But the city's allure derives equally from hidden sources: querulous inhabitants, a bizarre culture of heroic negativity, and a rich historical past supplying enigmas, pleasures and challenges. Rarely do visitors suspect the glamor and chic and the carefree atmosphere of the City of Light grew from and still feed off the dark fountainheads of riot, rebellion, mayhem and melancholy--and the subversive literature, art and music of the Romantic Age. Weaving together his own with the lives and loves of Victor Hugo, Georges Sand, Charles Baudelaire, Balzac, Nadar and other great Romantics Downie delights in the city's secular romantic pilgrimage sites asking, Why Paris, not Venice or Rome--the tap root of "romance"--or Berlin, Vienna and London--where the earliest Romantics built castles-in-the-air and sang odes to nightingales? Read A Passion for Paris: Romanticism and Romance in the City of Light and find out. David Downie, a native San Franciscan, lived in New York, Providence, Rome and Milan before moving to Paris in the mid-1980s. He divides his time between France and Italy. His travel, food and arts features have appeared in print publications worldwide. Downie is co-owner with his wife Alison Harris of Paris, Paris Tours custom walking tours of Paris, Burgundy, Rome & the Italian Riviera. He is the author of the critically acclaimed Paris, Paris, and the bestselling Paris to the Pyrenees.